The mask was pretty impressive. It had a light, perfume-y scent. Definitely not overpowering, at all. It was felt fresh, and cool on my just washed skin. Actually, my skin was feeling a bit drier than usual, and so I was looking forward to the ceramide's hydrating effects. First, our outer most layer = epidermis, and the top layer of the epidermis = stratum corneum (SC). The SC is super thin, but is super important as it is the main barrier of the skin. It keeps chemicals that come in contact with the skin from absorbing into the body, and it keeps water inside the skin from leaching out. The SC contains three types of lipids-- ceramides, cholesterol and free fatty acids. These lipids have different chemical compositions and different functions throughout the body. There are nine different types of ceramides in the SC, conveniently named ceramide 1 through ceramide 9, and they account for 40-50% of the lipids in this outermost layer. Scientists have learned that people with eczema have significantly fewer ceramides in their SC. So, low ceramides = dry skin! Don't worry! Replacing Ceramides Improves Dry Skin!!! Recent studies have shown that lipids can be replaced with topical preparations. Interestingly, all three lipids have to be replaced at a certain ratio to restore the barrier function of the skin. If the incorrect balance of lipids is applied, it actually takes longer for the skin to heal. So did the mask work? 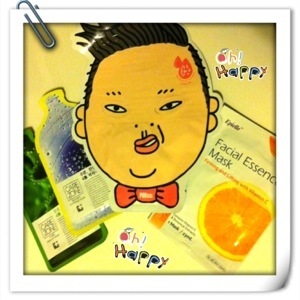 4) Epielle Vitamin C Mask? I've been eagerly awaiting my recent Puritan's Pride package! It arrived yesterday, and inside was my Avalon Organics Vitamin C Vitality Facial Serum! I've been wanting to buy it at CVS, but it was a little expensive -- $25.49. On the Puritan's Pride website, it was priced at $15.89! Plus, I had a 10% discount because of my Anthem Healthcare Insurance membership! Puritan Pride sells all sorts of stuff -- from vitamins to skincare! Puritan Pride has hooked me up and I can give you guys 10% off too! Click here to get 10% off your next Puritan Pride order!